This weekend, Sunday 11th November, marks the 100th anniversary of the end of the First World War. In this week’s blog post I have pulled together just a small selection of Library resources, digital and physical, that will help you explore the First World War, the events leading up to it and the aftermath. 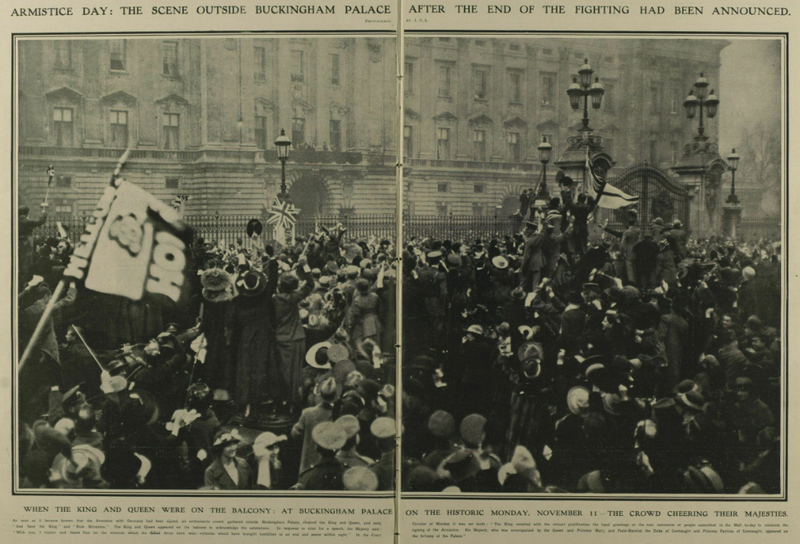 “Armistice Day: The Scene outside Buckingham Palace after the End of the Fighting Had Been Announced.” Illustrated London News [London, England] 16 Nov. 1918: n.p. Available from Illustrated London News Historical Archive. 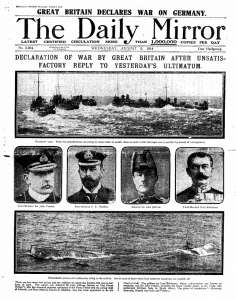 Screenshot of front page from The Daily Mirror, Wednesday, August 5, 1914. Available from UK Press Online. During the war the British Government tried to strictly control reporting on events, particularly from the front line. Legislation was passed in 1914 which allowed the War Office to censor the press and at first journalists had to go undercover to try and report on what was happening. Even when the Government relented and agreed to send accredited British war correspondents to the front line their reports were still heavily censored and were often overt propaganda, with actual facts about events never being reported (see reporting or non-reporting on the Battle of the Somme as an example).